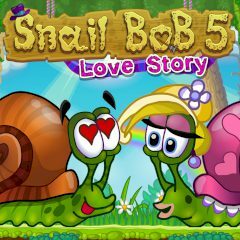 In the previous episodes you were helping the brave Snail Bob to reach his new house. But now he is in trouble: he fell in love with a beautiful stranger, but it isn't so easy to reach her and to win her heart. And this is the fifth time Bob needs your help. Are you ready?